Hawaii is a beautiful state made up of a chain of Polynesian islands in the North Pacific Ocean. Its tropical climate and breathtaking natural beauty make it a popular place for tourism and vacations. It’s also a great place for youth camps and adult retreats, offering a wide array of outdoor activities and points of interest. The landscape of Hawaii differs greatly from region to region with areas of rocky, volcanic mountains and lush hills full of tumbling streams and secret waterfalls and exotic animals. Hawaii offers much in the way of outdoor recreation with excellent hiking, zip-lines, snorkeling and surfing. There are also many places of historic and spiritual significance. Hawaiian Mission Houses Museum– This museum complex is a designated National Historic Landmark and offers exhibits and educational experiences about early missionaries on the Hawaiian Islands. St. Benedict’s Painted Church– A lovely church in south Kona, the walls were painted in colorful 3D detail by a priest in order to teach Bible stories to people who could not read or write. Kahanu Garden– This exquisite native forest is found along the famously beautiful Road to Hana on the island of Maui. Pearl Harbor– No trip to Hawaii would be complete without a visit to this site of immense historical importance. 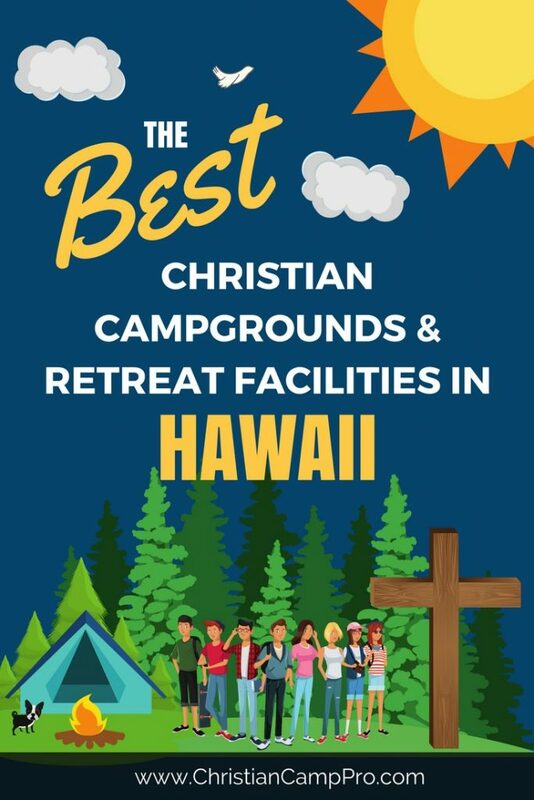 Hawaii is an enchanting place of beauty and history and makes a unique site for adult retreats and youth camps. With a wealth of natural wonders and outdoor activities, Hawaii offers one-of-a-kind experiences and adventures that are sure to please everyone.